If you are into any kind of arts related circles, you’re bound to have encountered the mythic exposure bucks: It’s the kind of money that is offered by promoter/scam artists who want to use your art for no payment at all. Of course, by doing so they will themselves get some money, sometimes even asking you for it! Now that’s an offer that is hard to refuse, right? 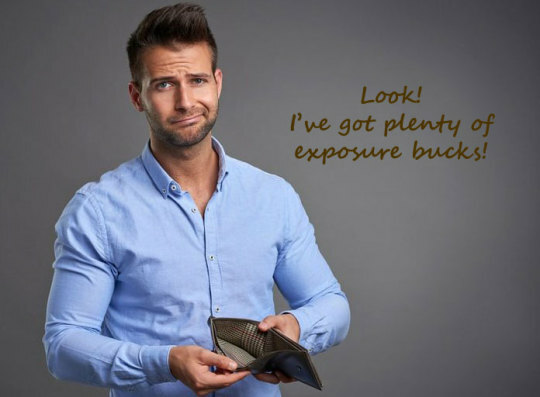 You get “exposure bucks” for a few dollars (or euros, or pounds or whatever your real money is). The rate is always fluctuating, and is set by the “promoters” themselves, it’s almost like crypto currency, and it’s been around even before that crypto scam was invented! And nowhere more than in the unsigned music world is it more prevalent. It’s hard to navigate the unsigned world, but it gets even harder as soon as you encounter these people who will send you emails and private messages on social media, telling you about their “wonderful” opportunities, when it so happens that they have a promotion for you! (That’s right! They always have a fantastic/brand new promotion just for you!). But I would be very wary of anyone contacting you to “promote” your music. Spoiler alert: This is NOT how it works! Now of course these con artists are just a little nuisance compared to the more greedy and powerful of them all: the streaming platforms. These platforms who manage to make you believe that they are going to pay more in the future (I actually heard some artists believing and repeating that! ), when simple arithmetic will tell you that it’s simply not possible: the rate they pay is primarily based on what the average song value is, which is itself based on the number of songs they have in their catalog divided by the number of paying subscribers they have (minus all the expense they have, which are big, including royal payments to themselves). Problem is that EVERY DAY more than 24000 new songs are added to streaming platforms, and although they are adding new subscribers most of them are free listeners or get some kind of discount, so of course these corporations keep hemorrhaging money in every corner. How do you think their rates are going to get higher? Is that magical thinking from desperate artists? No, of course not, because this is where the mighty exposure bucks come to the rescue! Yay! No, really! 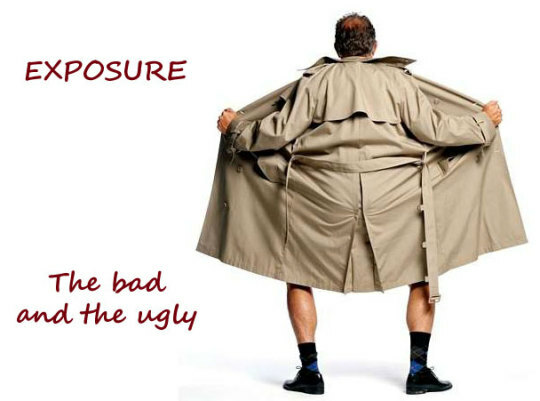 You should take into account the exposure they allow you to get. What with their millions of people listening, eh? Now that would be so true if their algorithms were not meant to discard you little ones in favor of the big ones from the big labels that they push on top of every searches. If they didn’t have big ties with labels to push the same artists on all their playlists. That might be true if the vast majority of the listeners weren’t listening to the same decades old catalog. In the end, it still comes down to this: whether they are little con artists or big crooks, it’s really up to you to say no to exposure bucks, because one thing is for sure, you won’t be able to pay your rent with these.